Saleh al-Arouri, who oversaw Hamas terrorist activities in Judea and Samaria, warns of impending new conflict with Israel. Hamas political bureau member Saleh al-Arouri on Sunday threated that his group would start a new round of fighting with Israel over its alleged "violation" of Muslim rights in Jerusalem. Speaking to Hamas’s Al-Aqsa television channel, Arouri referred to the proposed “Muezzin Law” in Israel, which would prohibit mosques from using loudspeakers for the call to prayer, saying that preventing the sound of the muezzin is a provocation which will result in a new conflict. He vowed that “the struggle for Jerusalem and Palestine” will be decided in favor of the Palestinian people and will result in the return of its "occupied" land, despite the fact that Israel is trying to establish facts on the ground in Jerusalem, by taking advantage of the weak state of the Arab nation. Arouri called on the Palestinian Authority and on the Fatah movement to agree on a plan for a comprehensive struggle against Israel. 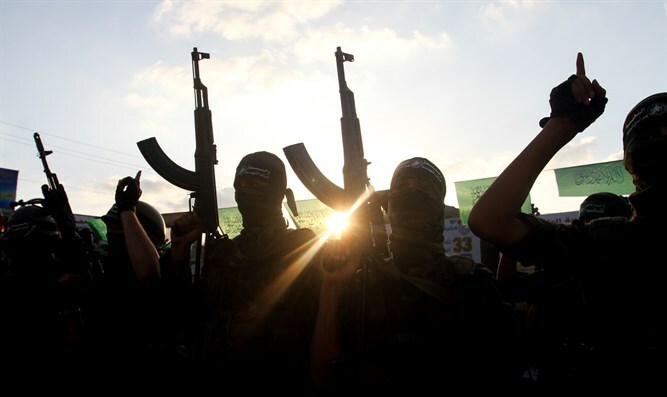 Arouri was in the past responsible for coordinating Hamas’s terrorist operations in Judea and Samaria. He was last reported to be living in Turkey, though Hamas denied those reports and claimed that Arouri’s leaving Turkey was due to internal considerations by the terrorist group.